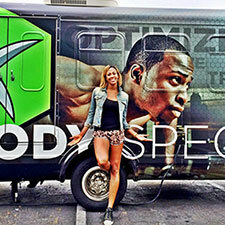 BodySpec recently brought our DXA scans to 8 Kaia FIT gyms. The trip took us throughout both Northern and Southern California, serving over 200 women. BodySpec had the privilege of scanning at Unbreakable Performance Center in Hollywood, where some of the most elite athletes and professionals come to train, including Chris Long, James Anderson, and Kim Glass. BodySpec has teamed up with Helen's Cycles to provide scans to cyclists. 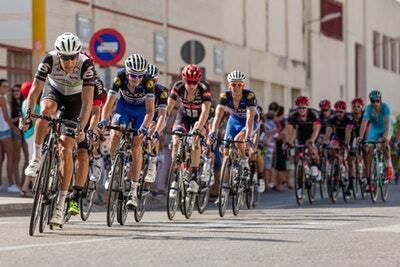 Understand why as a cyclist, knowing your body composition can help you optimize your training for speed and power. 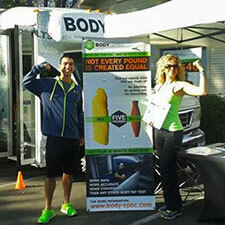 BodySpec worked with Deuce Gym in Venice, CA, to provide before and after scans for an 8-week Whole Life Challenge. We saw some pretty awesome results! What a great first month it's been for BodySpec! We just spent a fantastic week doing our first DEXA body composition tests at DogTown CrossFit in Culver City and Deuce Gym in Venice.